Is this the REAL reason Megan Barton-Hanson and Wes Nelson split? 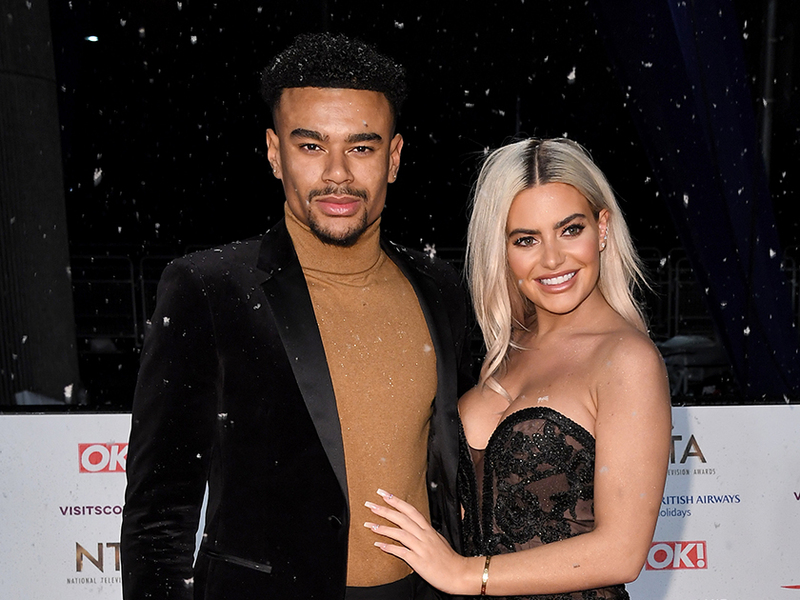 Is this the REAL reason behind Megan Barton-Hanson and Wes Nelson’s shock split? It might only be Tuesday, but it’s already been a tough week for Megan Barton-Hanson and Wes Nelson after they announced their split over the weekend. While the Love Island pair have kept pretty quiet on why they’ve decided to call it quits after just six months – instead just sharing a few cryptic messages on Instagram – now reports have suggested ‘things were all moving too fast’ for the couple. More: Will Megan Barton-Hanson RETURN to Love Island after shock Wes Nelson split? According to an insider, it was 24-year-old Megan who broke things off with Wes, 20, after his Dancing On Ice training put a wedge between them. ‘Their relationship moved too quickly – they couldn’t keep up with it,’ the source told The Sun. Relationship coach Michelle Zelli has also told us Dancing on Ice ‘could have been the final nail in the coffin’ for Wes and Megan. 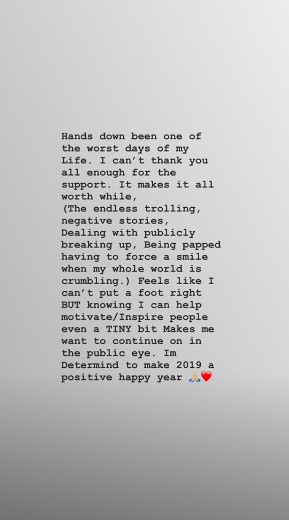 This comes after Megan recently opened up about having ‘the worst day of her life’ following the media storm surrounding her split. Taking to Instagram, the Essex babe revealed photographers were waiting outside her house, as she said: ‘It’s possibly been the worst week of my life and look how many paps are waiting there. I’m shaking, my anxiety is through the roof. Megan then went on to share a string of supportive messages from fans, praising her for being open about her mental health. She later penned another message thanking followers for their kind words. She wrote: ‘Hands down been one of the worst days of my life. I can’t thank you all enough for the support. ‘Feels like I can’t put a foot right BUT knowing I can help motivate/inspire people even a TINY bit makes me want to continue on in the public eye. 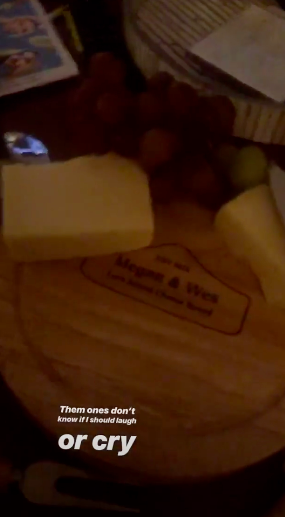 In one final post, reality star Megan posted a video of a personalised cheese board her mum gifted her at Christmas.